StepsStone Promoters Pvt. Ltd. is coming up with a new project StepsStone Vrushaa at Okkiyam Thoraipakkam, off from OMR (Old Mahabalipuram Road), Chennai. StepsStone Vrushaa will offer 2 BHK and 3 BHK Duplex apartments in the sizes ranging from 838 sqft to 1226 sqft, coming up on Ground + 2 floors. Features/amenities at StepsStone Vrushaa include air-conditioned gym, multipurpose hall, security cabin, landscaped-area and more. 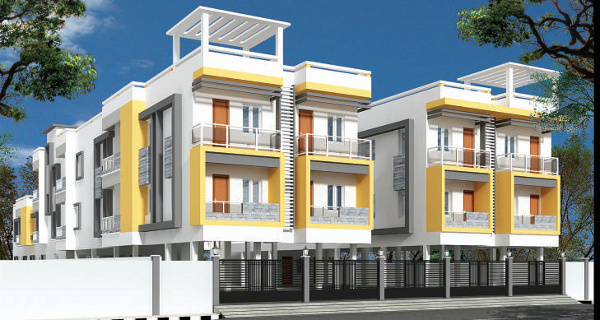 The special offer rate is Rs.3890/sqft*.